Are you tired of battling the bulge? 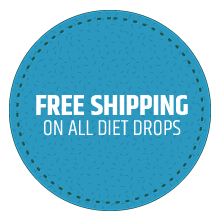 Following the HCG Diet Protocol and taking DIY Diet Store’s weight loss drops can help you to lose 20-30 pounds in a single round (30 – 40 days) of the diet. Unlike other diets, this fast weight loss program targets those “problem areas” of the body resulting in noticeable changes in the way your clothes fit as early as 2 weeks into the diet! A funny thing about the HCG Diet is that you must be very careful with the condiments that you use, avoiding all that have even the tiniest bit of starch, sugar, oil, artificial sweeteners and other “chemical-like” ingredients, which knocks nearly all of the famous brands of sugar free and diet condiments out of the ring. However, the Simple Girl line of dressings, sauces and seasonings was specifically designed for restrictive diets like Dr. Simeons’ HCG Protocol, Nutrimost, and Shape Reclaimed and of course, will then fit the bill for less restrictive weight loss plans like Weight Watchers, Atkins, the Ketogenic Diet as well as the eating regimen of those who are simply trying to follow a healthy, low-sugar or sugar-free lifestyle. This sugar-free barbeque sauce is sweetened with diet-approved, organic stevia making it not only safe for the diet but safe for your body. It is fat free and does not contain preservatives or artificial sweeteners. This impressive product contains 105 mg of sodium which is only 5% of your daily value based on a 2,000-calorie diet. You won’t need to worry about calories or carbs because it has only 5 calories and 1 carb per serving. This Simple Girl Organic Carolina Kick BBQ Sauce makes a wonderful marinade before cooking and a great slather-sauce after cooking your chicken, bison, ground beef, steak or seafood. You can use it as a dipping sauce for your vegetables or grissini breadsticks and you don’t have to be afraid to share this sauce with your family. It tastes so good; they won’t even know it can be considered that naughty word, “diet”! 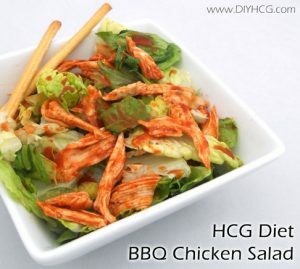 Try these free P2 (Low Calorie Phase) recipes from our website: “HCG Phase 2 Recipes: BBQ Chicken Salad” and the “HCG Phase 2 Recipes: BBQ Chicken Wraps” using this delicious and flavorful Simple Girl Organic Carolina Kick BBQ Sauce. 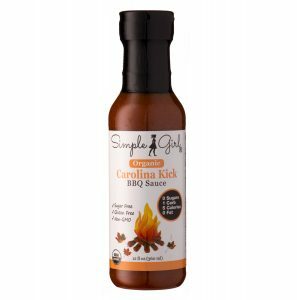 Want a “simple” P3 (HCG Maintenance) recipe to go with the Simple Girl Organic Carolina Kick BBQ Sauce? For maintenance or for life; try this sauce on pulled chicken or turkey. Cook your chicken or turkey and gently pull it apart with 2 forks while it is still warm. Put it in a crockpot and add Simple Girl Organic Carolina Kick BBQ Sauce. As soon as it is heated up, you’ll begin to smell that mouth-watering aroma. Use this recipe for a quick, tasty dinner for you and your family or take it along to Superbowl or holiday parties. It’s delicious and no one will suspect that it’s actually healthy! 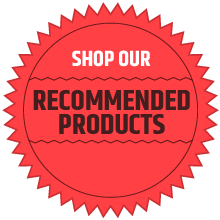 If you are striving for a healthy life style and want to avoid weight gain and blood sugar spikes, use this Simple Girl Organic Carolina Kick BBQ Sauce on all your favorite meats and recipes instead of the BBQ sauces out on the market that are made with fructose corn syrup and other sugar-filled ingredients. This great sauce is also available in Simple Girl Organic Carolina Kick Sugar Free BBQ Sauce Single Serve Packets, 6 to a package, so you can conveniently throw one in a lunch box or your purse. Savor the taste of summer with Simple Girl Organic Carolina Kick BBQ Sauce today!